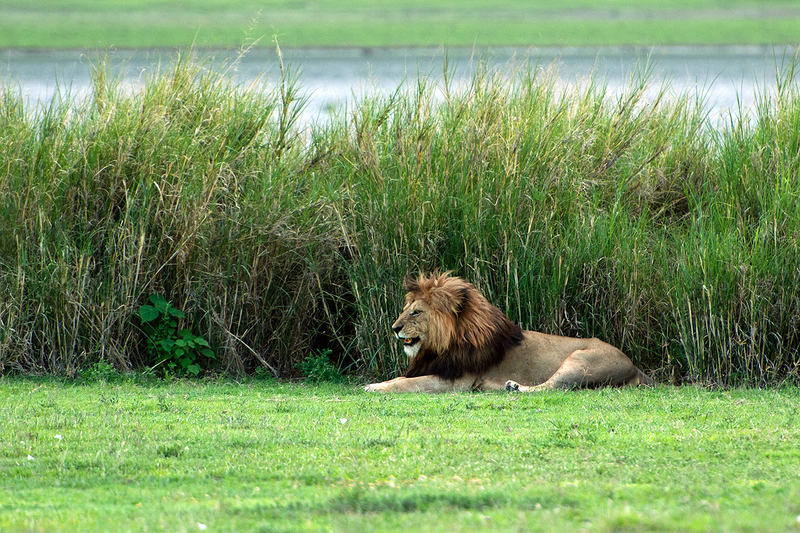 A Valentine’s Day inspired post about what you can see between bird sightings in Tanzania. Go to 10,000 Birds. 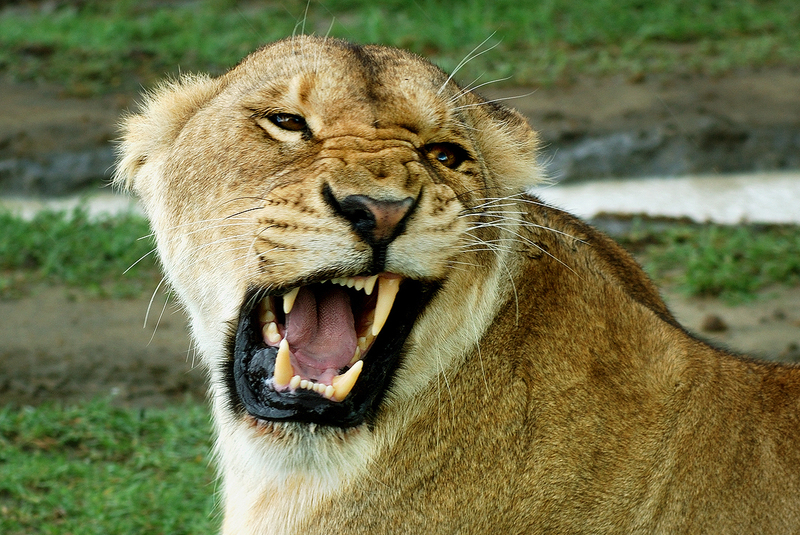 We will start with lions. 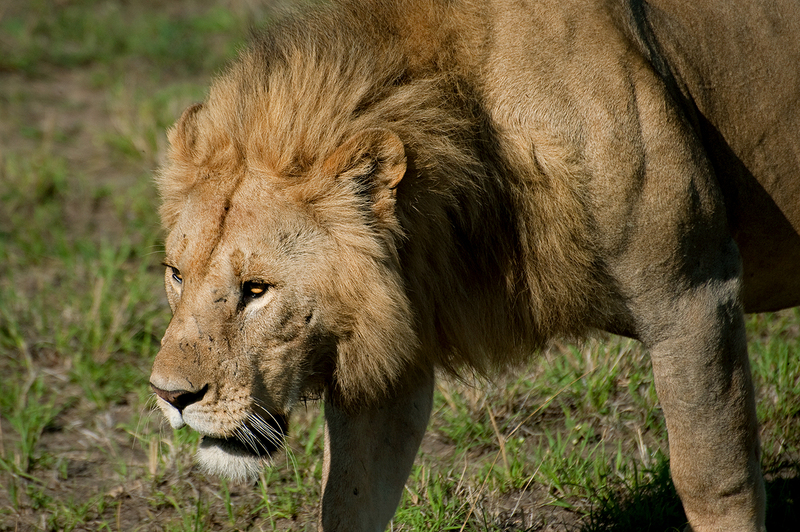 Here, a powerful male strides through the northern plains of the Serengeti. 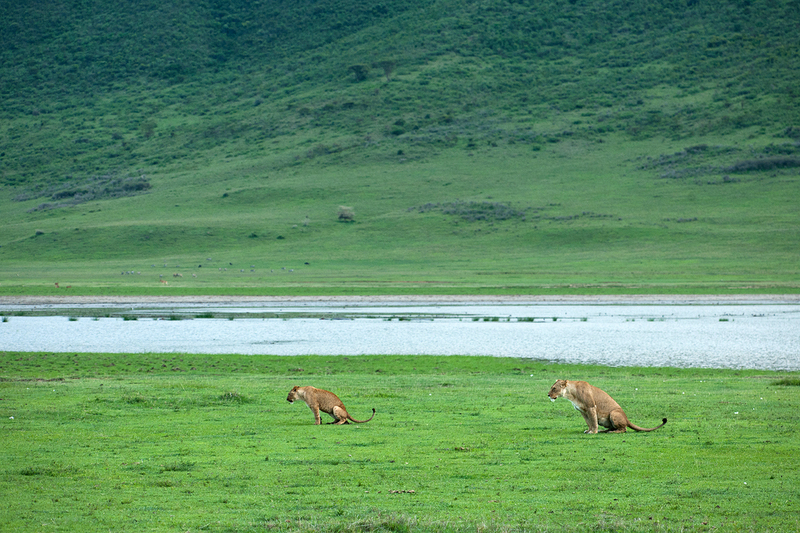 The lions in Ngorongoro are accustomed to the moving rocks that pay them daily visits. 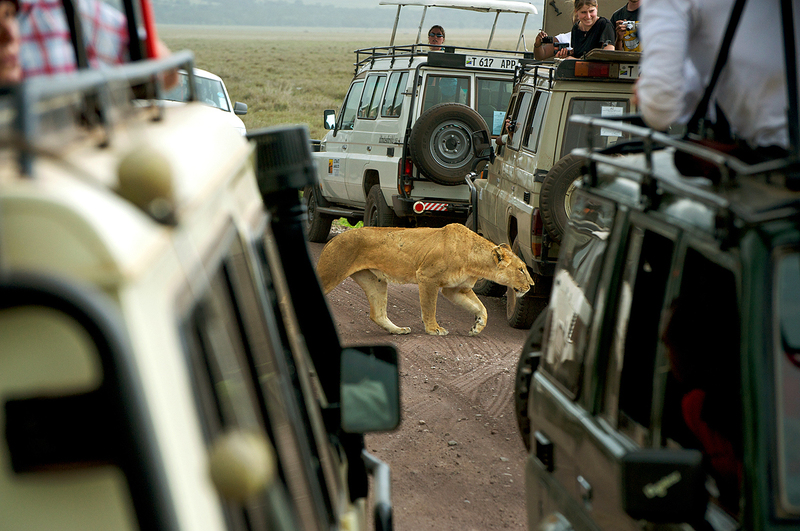 You are advised to stay in the car because people do get eaten when they step out to get a closer look. 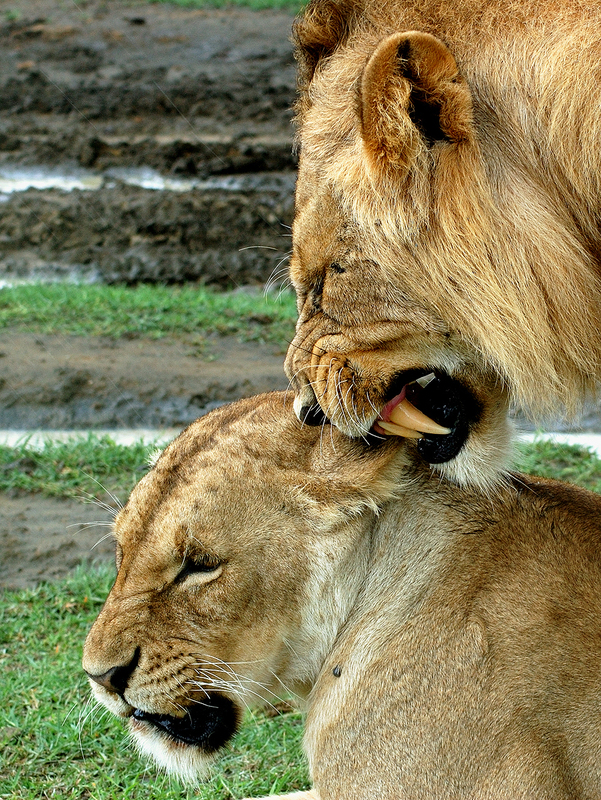 Mating is a vicious sounding act. 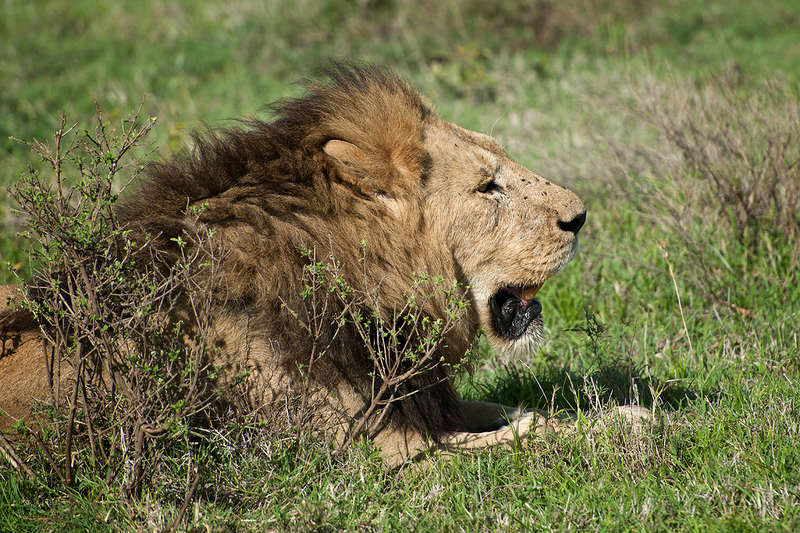 The lions growl and roar during the act. Traffic jams like this are a sad daily occurrence. 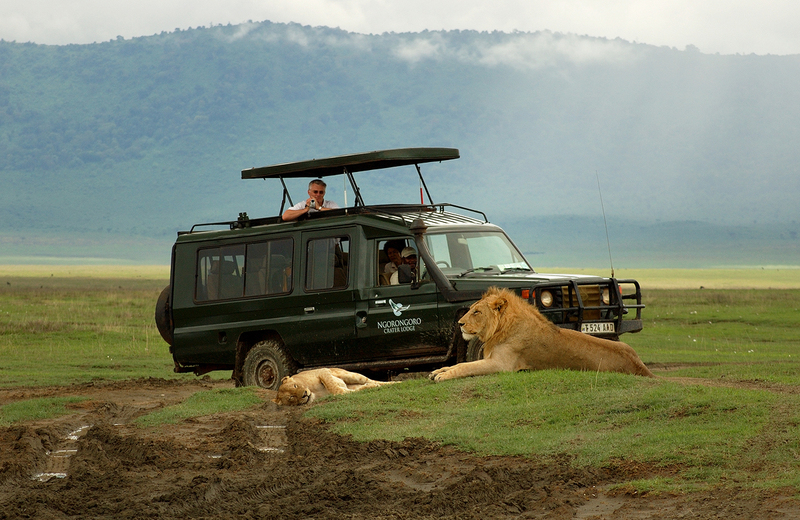 People are always vying for the best position for a close encounter and the lions have to pick their way through the moving roadblocks. 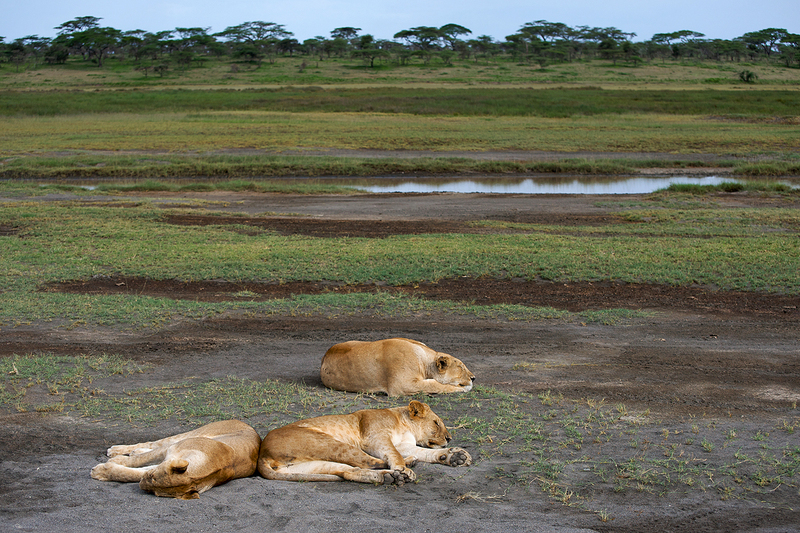 Near Ndutu, a pride sleeps during the heat of the day. 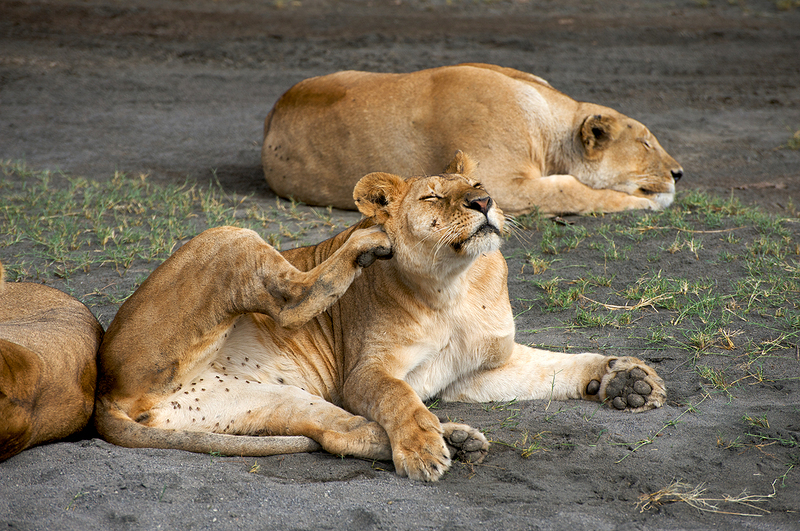 The flies are enough to drive you crazy but the lions seem to cope with them well. 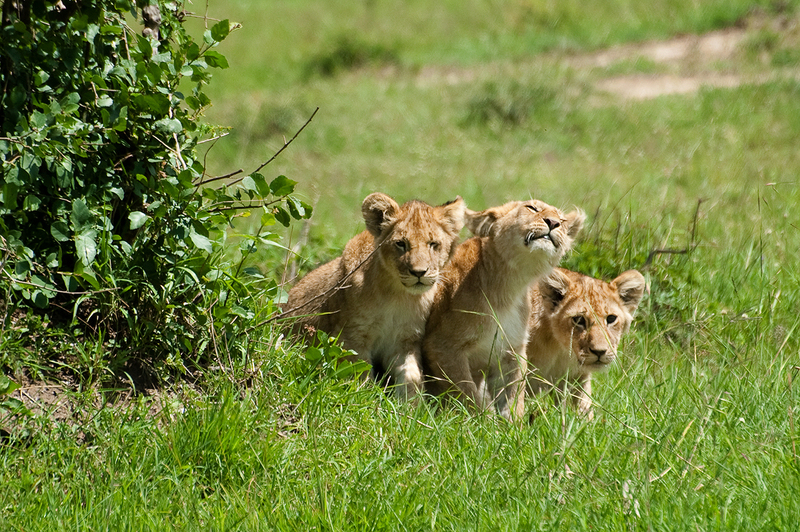 In the northern part of the Serengeti, Lion cubs come out to investigate the noise as we approach. 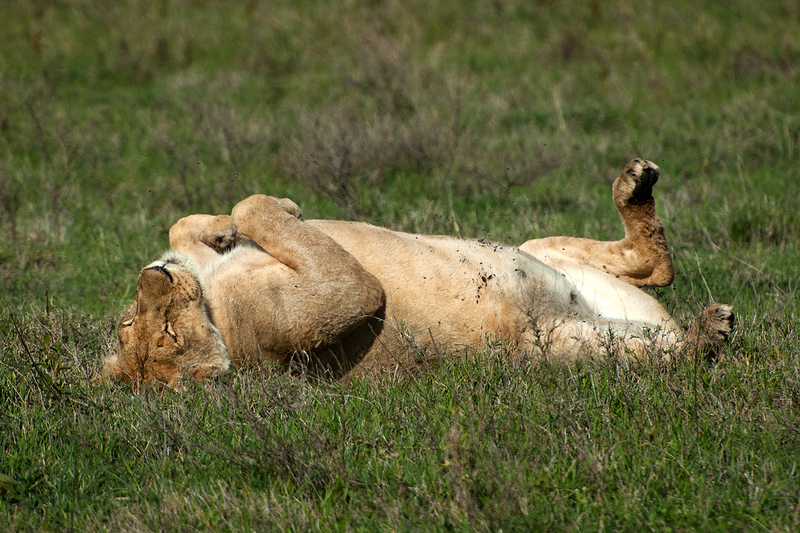 This was a family of nine cubs and two lionesses. 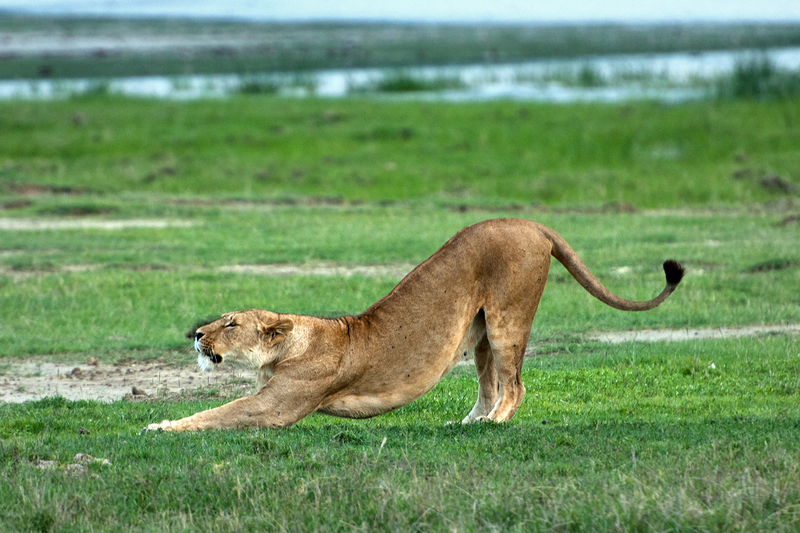 On the Ngorongoro Crater floor, a lioness snarls at her mate. 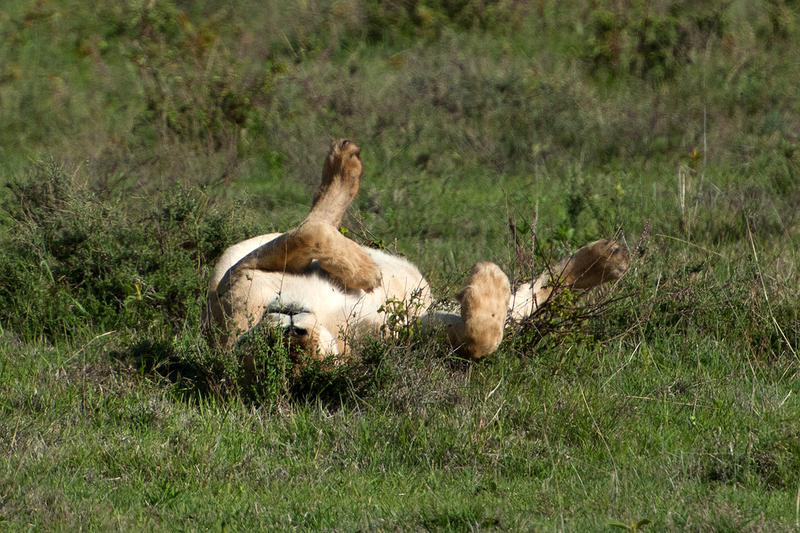 A full post follows tomorrow.